Friends of Panthertown volunteers gather for a National Trails Day project. Friends of Panthertown provides volunteers and raises funds for much needed conservation projects in Panthertown Valley. We encourage environmental stewardship, volunteerism, and create public awareness of issues concerning Panthertown. The mission of Friends of Panthertown is to work in partnership with the U.S. Forest Service to conserve this outstanding natural resource while improving the quality and experience of recreational opportunities in Panthertown. Are you a friend of Panthertown? All donations and memberships are tax-deductible. Please watch this video for detailed information about Panthertown and the work we do. Due to budget cuts in recent years and the size and increased visitation of Nantahala National Forest, the U.S. Forest Service Nantahala Ranger District does not have sufficient funding or personnel available to provide more than minimal levels of maintenance; therefore, the Friends of Panthertown are providing funding and volunteers for much needed projects and conservation efforts in Panthertown. You may contact U.S. Forest Service Nantahala District Ranger office at (828)-524-6441 or 90 Sloan Road, Franklin, NC 28734 with questions or for additional information about recreating in Nantahala National Forest. Panthertown is public land that has been part of Nantahala National Forest since 1989. In 2003, the U.S. Forest Service began planning for a Panthertown Trail Project. The project consisted of creating a sustainable trail system that would reduce resource conflicts between hikers, mountain bikers, and equestrians, the primary users. Local stakeholders from the conflicting groups started to come forward with concerns about the future of Panthertown. Some of these stakeholders offered to volunteer and help. In 2005, these volunteers came together under the leadership of Jackson-Macon Conservation Alliance to begin the work of reducing user conflicts by gathering input from the public. 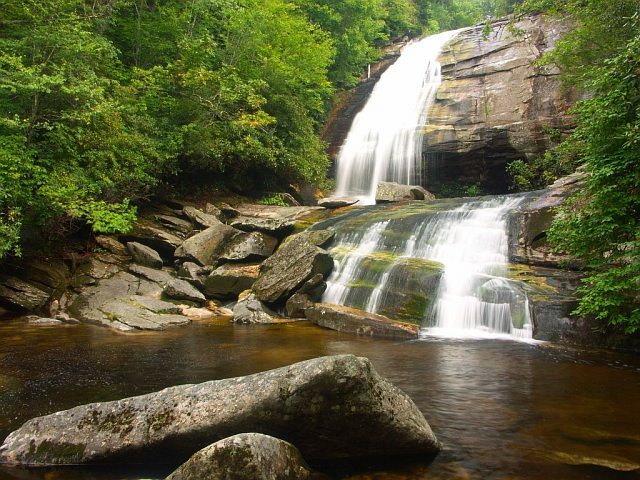 They began to establish a relationship with the U.S. Forest Service to help protect Panthertown Valley. The original goal was to create a group of supporters that would provide funding and volunteers in an effort to address the many unmet conservation and maintenance needs in Panthertown. This project became known as Friends of Panthertown. In 2007, the J-MCA hired a coordinator for the Friends of Panthertown project, created a Board of Supervisors, and formalized a partnership with the U.S. Forest Service with a volunteer agreement to maintain the Panthertown Valley Trail System. In 2009, working with Friends of Panthertown to gather public input and maintain the trail system, the U.S. Forest Service Nantahala District Ranger Mike Wilkins signed a decision memo concerning the Panthertown Trail Project. A trail system map was released and trail uses were designated for hikers, mountain bikers, and equestrians. In 2010, at the request of U.S. Forest Service, and due to many visitors getting lost in Panthertown, Friends of Panthertown funded and built trailhead information kiosks containing detailed maps of the Panthertown Valley Trail System, and installed Carsonite trail markers at each of the major intersections to indicate trail usage designations. In 2011, after several years under the fiscal sponsorship of J-MCA, and having grown its funding and membership base, Friends of Panthertown, Inc. was recognized by the IRS and State of North Carolina as a 501(c)(3) non-profit charitable organization. In 2014, at the request of U.S. Forest Service, Friends of Panthertown installed trail blazes on trees along 30 miles of Forest Service trails in Panthertown Valley. The colors of the blazes match the colors and usage designations on the USFS trail system map. In 2017, Friends of Panthertown partnered with Mainspring Conservation Trust to purchase and protect the 16-acre private property located adjacent to the Salt Rock Gap trailhead entrance. Through the generous support of our members, donors, and the community, the conserved land will be eventually be transferred to U.S. Forest Service to become part of Panthertown. The public is invited to explore the land and enjoy the new parking area and camping spots. Currently in 2019, eleven dedicated volunteers representing many of the primary Panthertown user groups serve on our Board of Trustees. These Trustees serve as leadership for Friends of Panthertown and a part-time Executive Director is responsible for the day-to-day organizational duties. Our monthly Board meetings are open for anyone from our membership to attend, and an annual membership gathering is typically held in the summer or fall. All are welcome to participate and join our organization. We work on your behalf and advocate for the interests of our membership. 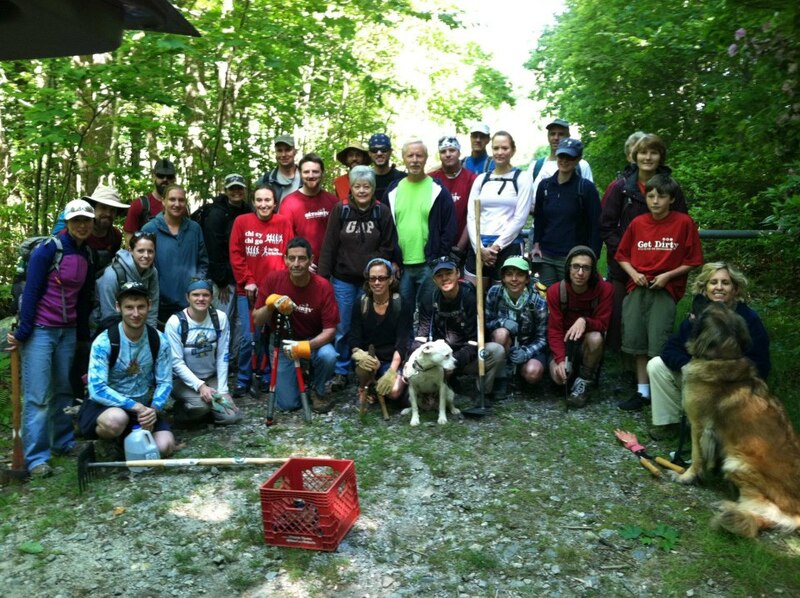 Contact Jason Kimenker, Executive Director, if you wish to volunteer, serve on our Advisory Committee, participate at one of our trail work days, Adopt-A-Trail, become a supporting member, or be considered as a future Trustee. We are an equal-opportunity organization. All are welcome to join us and help protect and maintain Panthertown.